The village of North Cray was listed in the 'Domesday Book' of 1086, and was recorded as having seven villagers and six smallholders, who together with their dependents made a total population of 52. They farmed 60 acres of land plus an acre of meadow and three acres of pasture. Some 250 years ago the slopes down to the River Cray were part of the Vale Mascal Estate, one of a number of wealthy estates in the Cray Valley, which included North Cray Place and Mount Mascal. Neither of these of these survive. North Cray Place was the original Manor house. In 1823 a new house was built, and 10 years later the whole Estate was bought by Lord Bexley. His family, the Vansittarts, continued to own the house until 1918. North Cray Place was hit by an enemy bomb in 1944 and was finally demolished in 1961. Its remains can be seen in Footscray Meadows. Vansittart land extended to part (if not all) of Parsonage Lane, and probably included the nearby Manor Farm. Mount Mascal was built circa 1600 and stood on the hillside overlooking the North Cray Road. It was named after the Mascal family, which had owned the property in Tudor times. Notable owners included Sir John Leman and Sir Robert Ladbroke, both once held office as Lord Mayor of London. The North Cray Road was widened between 1967 and 1969, demolishing much of the historic heart of the village, and dividing it into two. 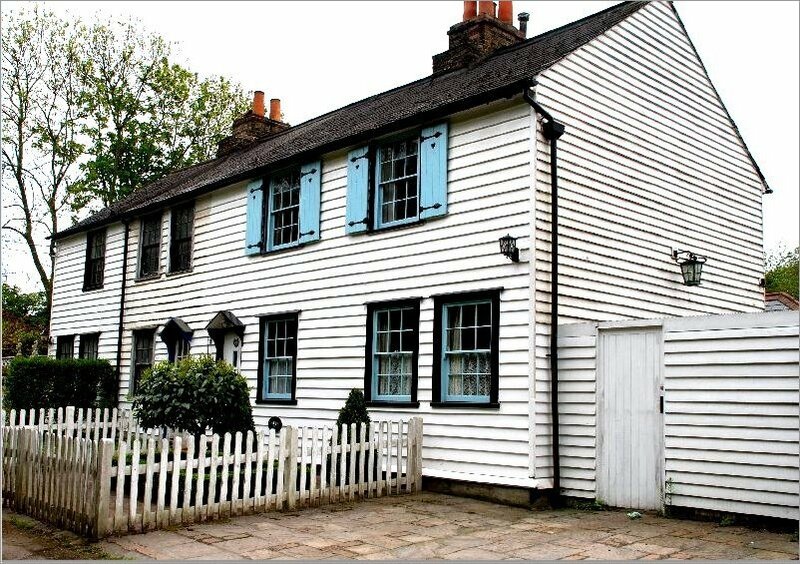 North Cray has a number of listed/old buildings and features that are tabulated to right of this introduction with either a picture or a link to Google Street View that can be viewed by selecting from the table. *** Others that are unlisted but still old and of interest. Edward VIII Pillar Box, High Beeches. Few residents will recall at first-hand the constitutional crisis of 1936, the year of King Edward V111's Accession to the Throne; but most will know the romantic story of his Abdication in that same year because of his love for the divorcee, Mrs Simpson. 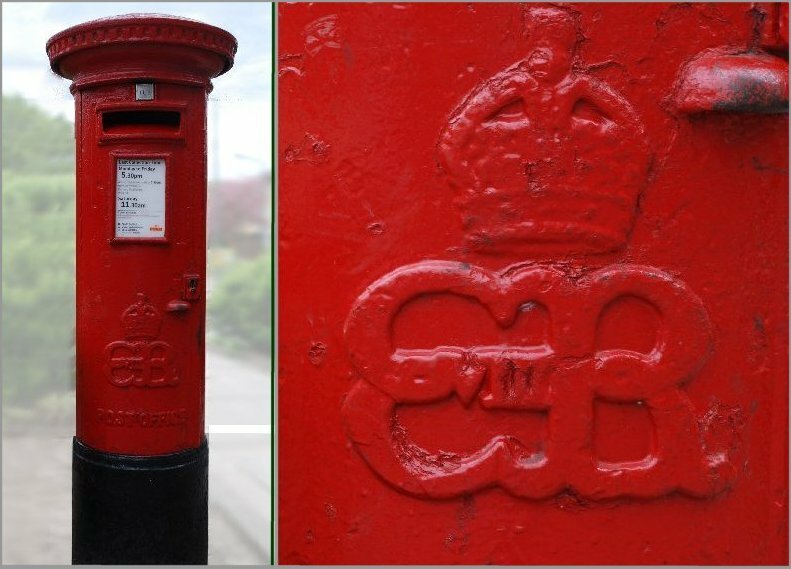 It was a busy year for the GPO: producing new stamps for the new reign and agreeing a new Royal Cypher (designed by the King himself) for placing on all kinds of things, not least letter boxes for the new reign. Things were going well until the King announced his Abdication, when a different Royal Cypher had to be designed for his successor, King George V1. However, some pillar boxes bearing the Edward V111 cypher had already been produced and erected around the kingdom. One of these is the box that still stands today outside the post office in St James' Parade - one of the many historical letter boxes that have been designated a "Listed Building" by English Heritage. About 130 pillar boxes cast in 1936 still bear the cipher of Edward VIII. 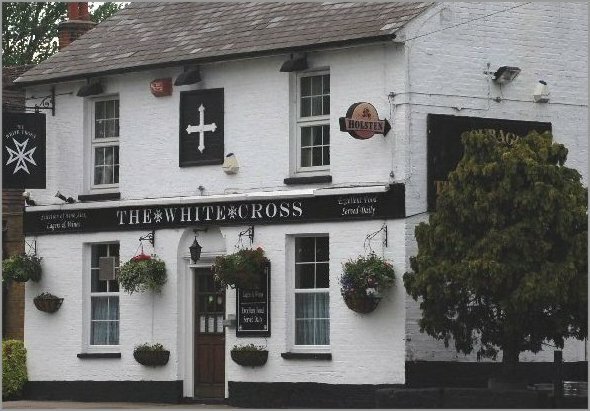 The White Cross Public House dates back to at least 1729. It was once known as the Red Cross Inn, after the flag of St George or possibly the cross of the Knights Templars. In 1935 the War Office ruled that the name violated the terms of the Geneva Convention protecting the symbols of the International Red Cross Society; and so the brewers adopted the White Cross of the Knights Hospitallers instead. In the front bar there is a display of copper and brass utensils and there is a white cross over the main door. 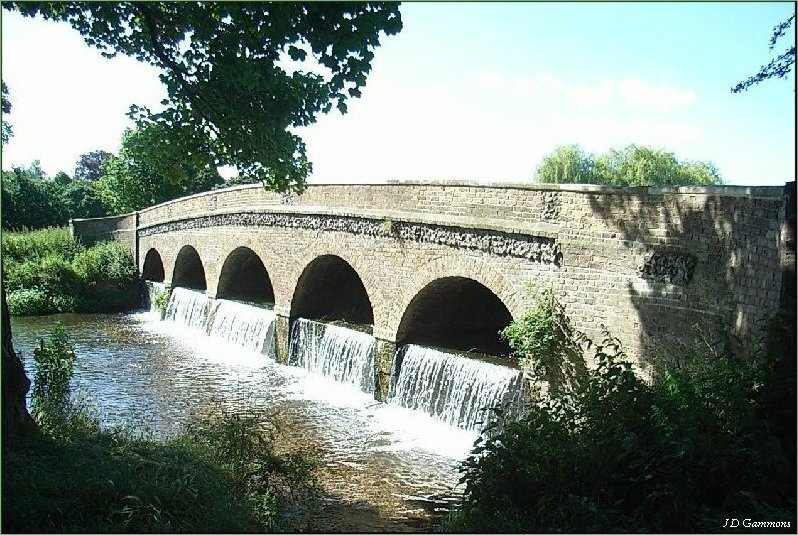 Vale Mascal was built in 1740 on part of the Mount Mascal Estate, stretching along the River Cray from Woollett Hall almost to Bexley Village. The gardens were laid out professionally, probably between 1760 and 1775, either by 'Capability Brown' (who is known to have worked at Danson in 1760-61 and at North Cray Place in 1782) or by one of his disciples. St James's Church is recorded in the 'Domesday Book.' Its parishioners have a history of charitable giving. 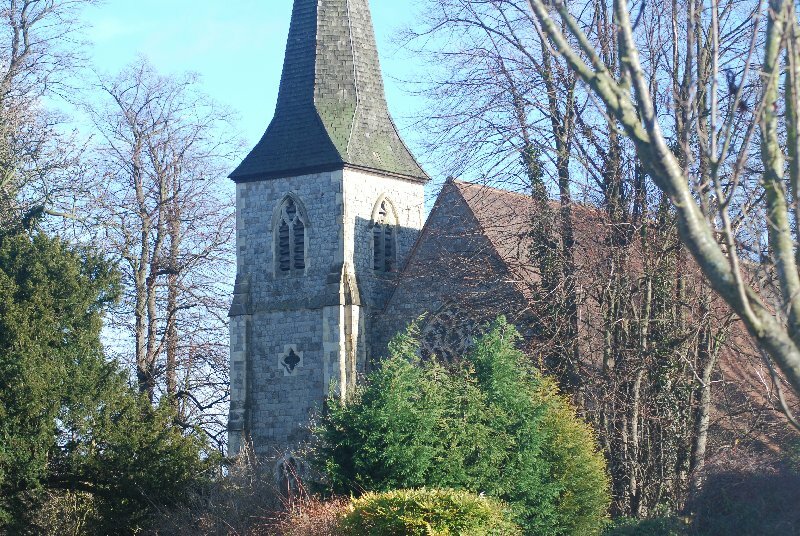 In 1819 funds were raised to pay for the repair of the church; and further improvement were instigated in 1852 with repairs to the roof, the addition of a spire, new church bells and the installation of a heating system. In 1870 its chancel was extended, and the Church assumed the shape it has today. 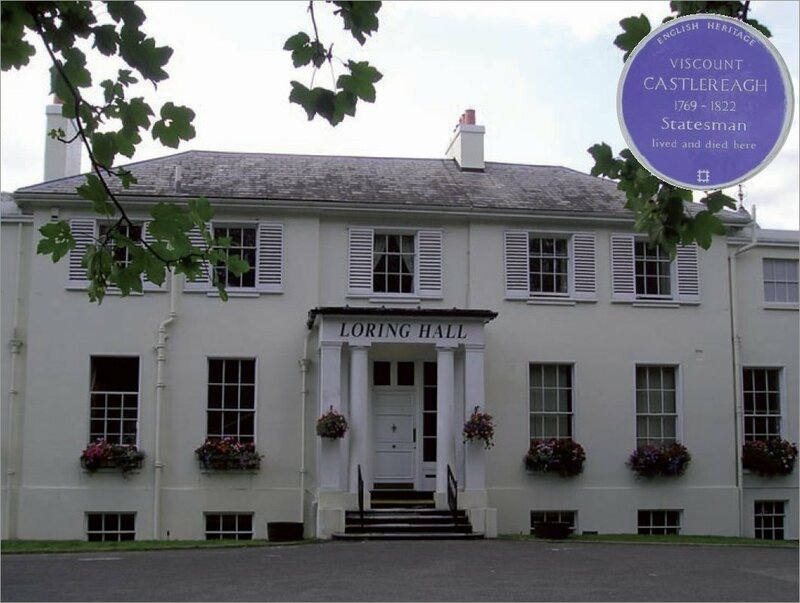 Loring Hall (formerly Woolett Hall) built circa 1760 is a former home of Lord Castlereagh. Within the grounds is a fine matching gate lodge whilst to the rear is the former stable block together with a modern sports pavilion. The main house now serves as a nursing home, whilst the outbuildings are used by Goldsmith's College in conjunction with a sports field at the rear.